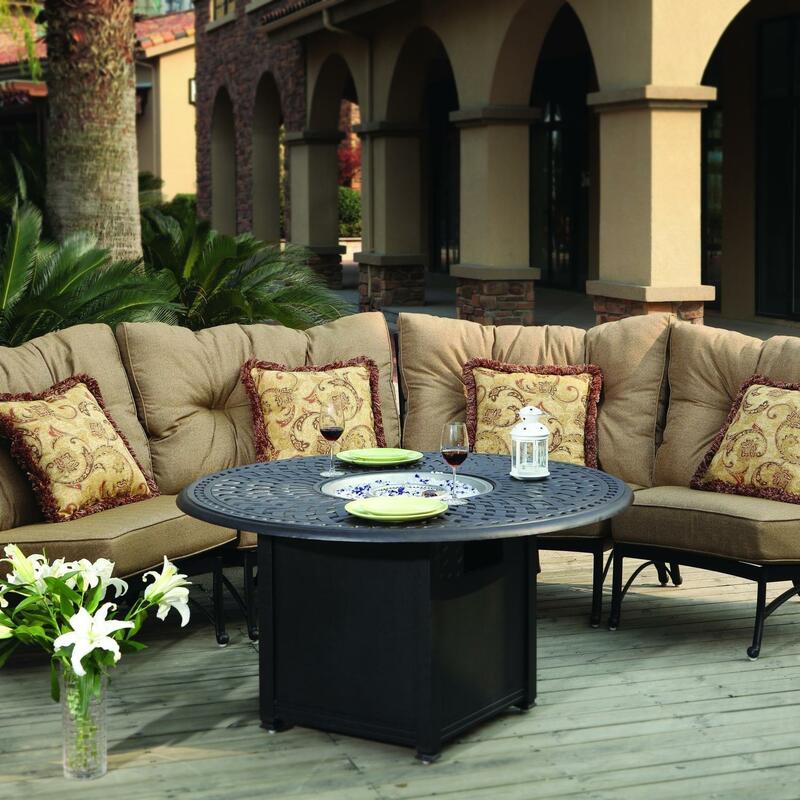 The Darlee Santa Anita 5 Piece Aluminum Fire Pit Patio Set is an excellent addition to your outdoor seating area, upgrade your patio with this 4-person sectional set, which features the signature elegance and curves that are found in the Santa Anita collection. 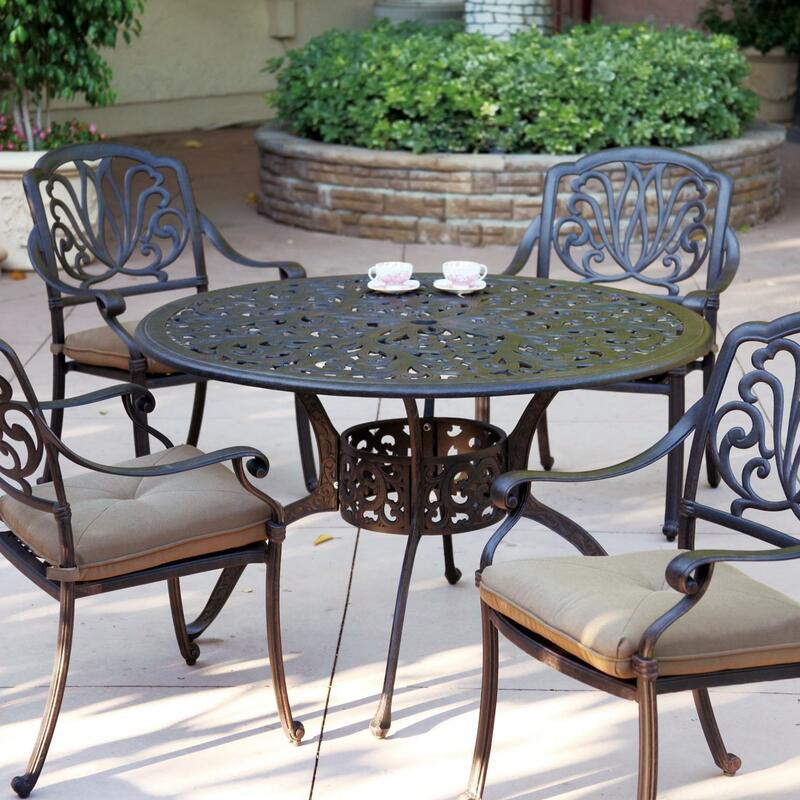 The cast aluminum frame is lighter in weight than wrought iron, and the antique bronze finish is powder coated, making it tougher and rust resistant. 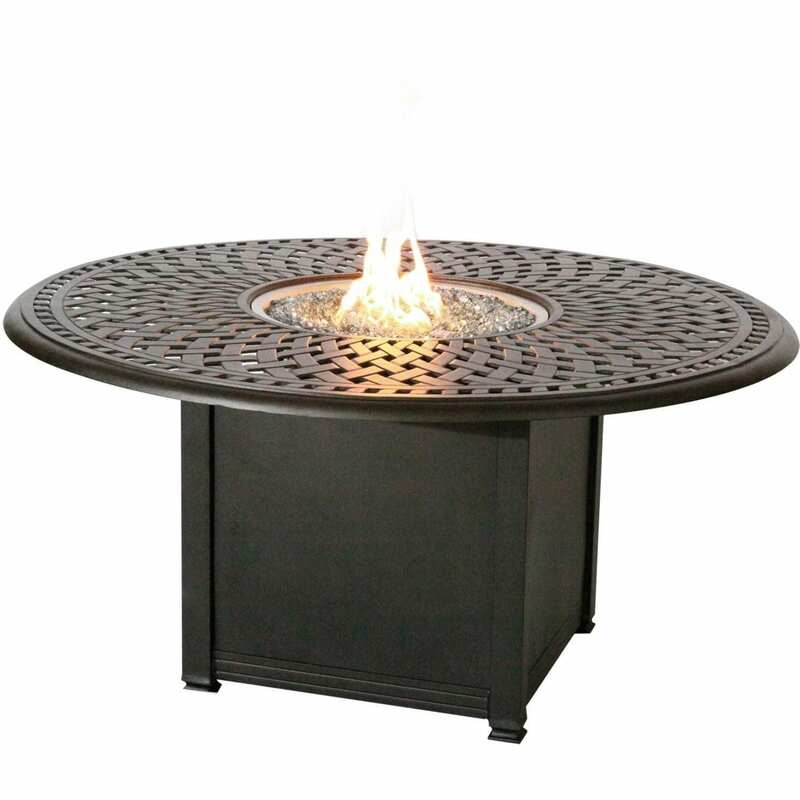 The fire pit table adds warmth to your seating area and has a convenient door to hide the propane tank. 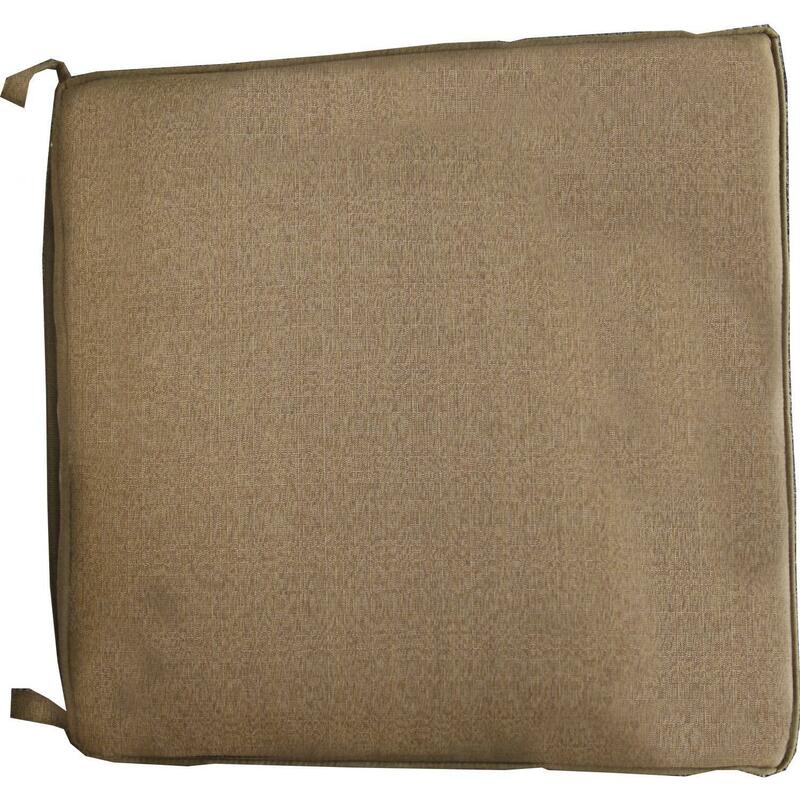 This outdoor deep seating patio set includes sesame polyester cushions. Add optional fire glass, fire logs or an ice bucket insert for a versatile finishing touch to this unique set. 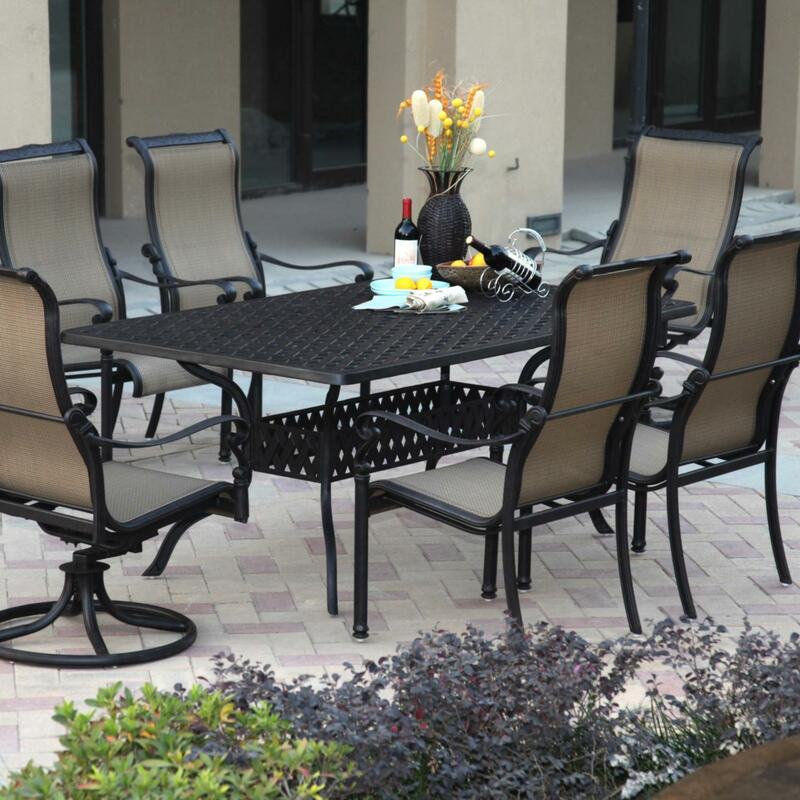 Dimensions (in inches): Fire Pit Chat Table: 52 W X 52 D X 25 1/2 H. Center Chair: 46 W X 39 D X 37 H. Seat Height: 12. 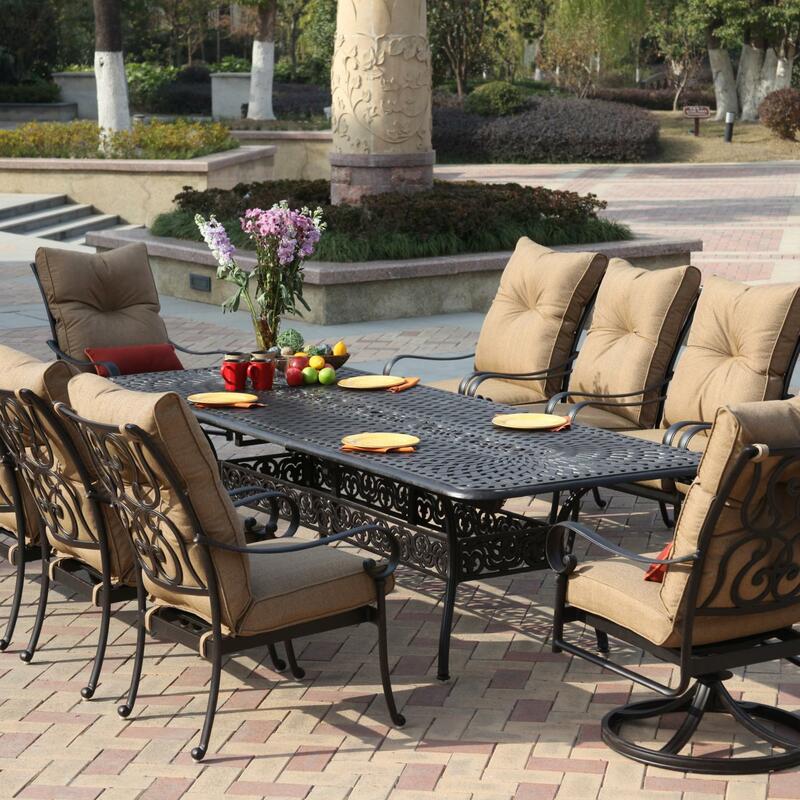 This is perfect for family gatherings or a small backyard get together. I love having a romantic evening with a glass of wine and warm fire. Super Happy with my purchase!